This new book (August, 2013), emerged from the 2011 conference held at NYU, Institute for the Study of the Ancient World. Among the contributors to this volume are Jonathan Ben-Dov, Seth L. Sanders, and Annette Yoshiko Reed. 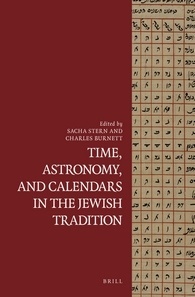 Of special note with respect to astronomy and early Judaism is the article “Networks of Scholars: The Transmission of Astronomical and Astrological Learning between Babylonians, Greeks and Jews”, by Mladen Popović. This is my personal admission: I smell like charred bonfire. But I do have a good reason. On Wednesday, I woke up early to make it to a local Birkat Ha-Hammah ceremony. It was cloudy and rather cold out, so I wasn’t sure that it was going to be possible to bless the sun. It simply wasn’t visible. My husband and daughter were still sleeping, so I headed out quietly. There had been a snowfall the night before, and I found it rather incongruous to be brushing snow off of the car immediately before heading off to bless the sun and burn leavening (hametz) for Passover. When I arrived at the first location (there were at least two ceremonies being held nearby) nobody was there, and the sun was still covered with clouds. I looked in the general direction of the east and began to recite the blessing on the sun anyway. But a few words into the blessing, the clouds parted, and I could clearly see the solar disk (which I carefully kept in my peripheral vision). I then drove to another ceremony site, which was the empty field of a synagogue that is currently under construction. A few women and families were just leaving, so there were only five or six men and me in attendance. The bonfire was in a large rectangular metal bin, and was being stoked by volunteers, with wooden planks being added periodically. People would come by, throw pieces of bread, pita, and even a box filled with croissants into the fire, and recite the Aramaic declaration of nullification of hametz. In turn, I also threw in the pieces of bread and pita that I’d brought with me and recited the declaration on behalf of myself and my family. Most of the celebrants burned their leavened products and then said the blessing on the sun. I chatted with one of them, telling him that the sun had come out, however briefly, during the blessing. To this, he replied, “Yes, the miracle happened here too!” I smiled, and we wished each other a happy Passover. After thanking the volunteers, I headed off to do some more Passover shopping. I was still thinking about the blessing of the sun. Miracle? Perhaps not the fact of the emergence of the sun itself, but our very relationship to it on earth is certainly a powerful one (whether one subscribes to the rare earth hypothesis or no). Mostly, I think of such moments as numinous, as per Rudolf Otto (Das Heilige). Whether or not one attributes this feeling of awe to a religious force, it is difficult to deny that the sun, moon, stars, planets and other heavenly bodies hold a certain fascination. Even more so when their observation is underscored by religious ritual. A happy Passover and Easter to those who celebrate them! Several months ago, I posted about an upcoming rare event in Judaism — that is, the blessing of the sun, or Birkat Ha-Hammah, that takes place once every twenty-eight years, and is based primarily on the Babylonian Talmud, tractate Brakhot 59b. The event takes place this year on April 8th, in the early morning. Because Passover happens to begin on the evening of April 8th (a truly rare convergence indeed), many morning celebrations will combine the burning of leaven (chametz) and the blessing of the sun. Behind the curtain. . .
Just a quick peek behind the workings of this blog. I’m currently spending much of my time reading materials in preparation for my comprehensive exams. (a.k.a. qualifying exams) For now, as has been the case for a few months, until these exams are completed, I only have a limited amount of time to devote to Chaldea (i.e., I’ll post whenever I can). I thought I’d bring a notable source I’m working with to the attention of others in similar fields. I first took it out of the library in 2003, but soon found it indispensable, so I bought a copy. It’s a very thorough overview of the important writings and beliefs about heaven and/or the heavens (including heavenly cosmography) in these cultures, and it incorporates archaeological findings as well as textual sources. It is difficult to distinguish between astronomy proper and astral beliefs in many ancient civilizations; this book provides the reader with a solid awareness of the background views of the cosmos in these cultures, thereby setting the stage for later evolutions in cultural astronomy. 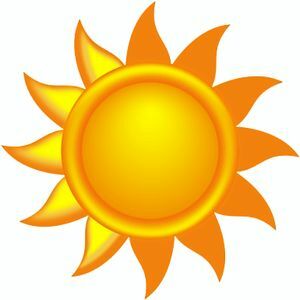 I’ve just come across this site, which describes the Jewish ritual of blessing the sun every 28 years — at which point, it is traditionally believed, the sun occupies the same point at which it was present at its own creation in Genesis 1:14-15. 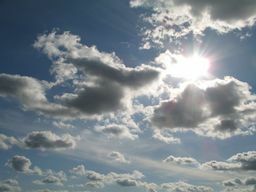 The next date for this blessing, called Birkat Ha-Hammah, will be April 8, 2009. There are some fascinating rabbinic and other resources located on the site I’ve embedded above. One of the main textual sources for the blessing tradition is to be found in the Babylonian Talmud, tractate Berakhot 59b, which refers to blessing the sun when it returns to “its turning point”. Another source is found in one of the primary Jewish legal codes, the Shulkhan Arukh, Orach Chayim 229:2. This ritual, which last took place in 1981, prior to the internet age, will almost certainly be well-publicized, serving as a reminder that astronomy is alive and well in contemporary religious life. 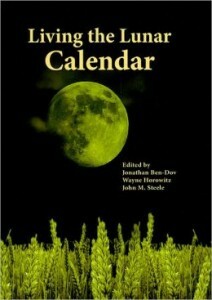 That it happens to coincide with the International Year of Astronomy is sweeter yet. This recent article in the Ottawa Citizen describes some of the controversy surrounding the astronomical moment at which the month of Ramadan is over. 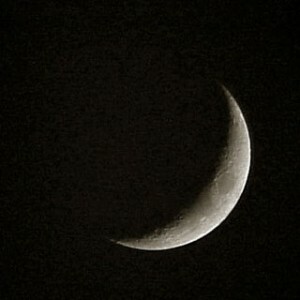 This, of course, is signaled by the appearance of the new crescent moon. The question, however, is that of exactly where this first lunar crescent must be sighted — from one’s own city or from Mecca. Furthermore, does the latter option invalidate the primacy of aeons of naked-eye viewing of the new lunar crescent in Islam? This is ultimately about the question of religious authority, and as such, it summons to mind other similar challenges posed by the matter of first lunar visibility. In ancient Judaism, for example, the new month was once proclaimed first based upon a system in which an initial viewer of the new crescent would light a signal-fire on a mountain or hill-top to notify the next viewer, who would then light another signal-fire, and so on. This practice was disrupted by the deliberate lighting of signal-fires at the wrong time by the Samaritans of the first century. This practice was soon replaced by a system involving witnesses of the new crescent, who would then be carefully interrogated by Jewish authorities. Upon establishing the credibility of given witnesses, the new month would be proclaimed. This matter was, of course, crucial to the timing of important religious festivals such as Passover and the New Year. Later, the fixed, calculated Jewish calendar would come to replace visual observation of the moon for religious purposes — a critical transition within Judaism, to be sure, and one which had its origins in the political nature of calendrics and its reliance upon astronomical viewing. It is, perhaps, notable, that the small community of remaining Karaites continues to rely on direct visual observation of the lunar crescent, having never adopted the beliefs, interpretations and rituals of Rabbinic Judaism.